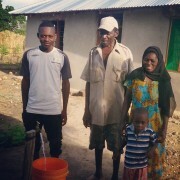 MO has earned and saved sufficient money from selling home grown vegetables to purchase a water pump. 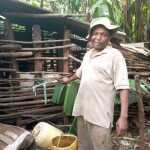 It has enabled her to build a toilet, which is improving her family’s quality of life by improving their sanitation, reducing sickness and making them feel more secure and happier. 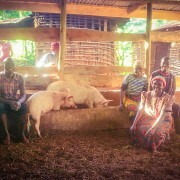 The pump has also made it easier for the family to water their vegetable garden, and raise pigs and chickens. 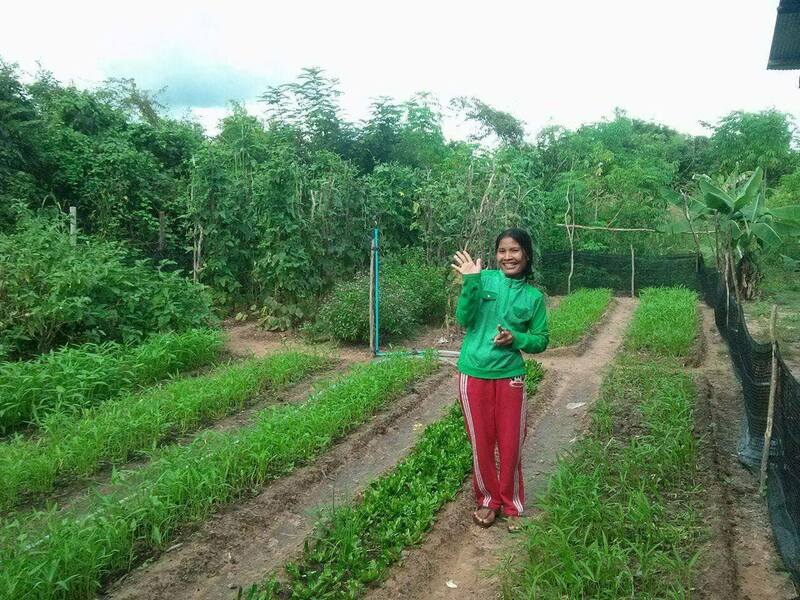 So MO has now extended their vegetable garden so that they can earn more income from it. 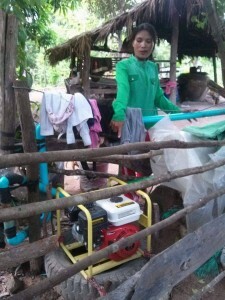 Sadly, the changing climate in Cambodia is increasing the challenges of the extremes of lack of water during the peak of the dry season, and flooding of the garden during the heavy rainy season. 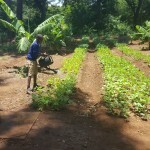 The garden shop is assisting by mentoring MO about planning when to plant crops that are more tolerant of each of the seasonal climate extremes. 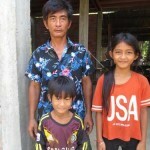 MO is still dreaming of saving enough money to invest in a solar light system for their home, so that her children can study at night.